Under CA Penal Code 1181 PC, the California Legislature has listed several circumstances that unfairly prejudice your right to a fair and impartial trial and can act as grounds for requesting an entirely new court proceeding in a motion for a new trial California. Our attorneys at Wallin & Klarich explain how each of these grounds can be raised depending on the facts of your individual case. All jury members are instructed by the court to follow procedural formalities and to abide by a certain code of conduct to insure that you are afforded a fair trial. A violation of these court mandated orders can serve as grounds for your motion for a new trial and a dismissal of your current criminal case. Using outside evidence is one form of jury misconduct . One form of jury misconduct occurs when one or more members of the jury receive any evidence outside of court other than that resulting from a view of the crime scene or personal property. This is not allowed in the court of law. For example if any juror receives outside information that has not been submitted into evidence or noted in the record, this can serve as grounds for granting a new trial. If the jury has separated without leave of the court during the time in which they are given to deliberate upon their verdict or have engaged in any misconduct which prevents a fair and due consideration of the case, this can serve as a grounds for granting a new trial. All members of the jury are required to discuss the case and come to a verdict as a cohesive group. Any deviation from the group centered deliberation process is improper and will unfairly prejudice your right to fair trial. In addition, the jury can only discuss evidence that has been admitted during the court proceedings and cannot comment on your failure to testify if you choose not to do so. The jury is forbidden from reaching a verdict by any means other than a fair expression of opinion on part of ALL of the jurors. If the jury has come to a verdict without careful consideration of the evidence or input from all jurors who wish to speak on the matter, this can act as grounds for granting a new trial. Methods for determining your guilt without consideration of the evidence such as (flipping a coin) are expressly forbidden and unanimous consent from all members of the jury is required. If a jury member is sleeping during the trial, this can be grounds to motion for a new trial. If the court has committed a legal error that substantially impairs your right to a fair and impartial trial, your attorney can make a motion for a new trial. As a defendant in a criminal matter, you have a constitutional and statutory right to be present during all stages of trial. If the court proceeds with the trial in your absence, this can constitute gross legal error and serves as grounds for granting a motion for a new trial California Penal Code 1181. However, there are some circumstances where the trial court can proceed without your physical presence. If you have legally waived your presence or the court has removed you from the courtroom for misconduct, the judge can legally proceed without you and such action will not constitute grounds for granting a new trial. Grounds for granting a new trial can arise if the court has misdirected the jury in a matter of law or has erred in the decision of any question of law during the course of the trial. The court misdirects the jury in a matter of law if it incorrectly instructs the jury on the elements of the offense, the applicable law, or standards of conduct governing the jurors behavior. The court can also err in the decision of any question of law if it relies on outdated legal principles or cases that have been overturned by a higher court. When the verdict or finding is contrary to the law or evidence, the judge has broad discretion in granting a new trial, or by modifying the verdict to a lesser offense or imposing a lesser punishment accordingly. If the trial judge finds that the jury verdict is not supported by the evidence, he or she can grant your motion for a new trial even if you have been found guilty of the alleged offense. The judge also has discretion in modifying your sentence or reducing the charge to a lesser offense if the evidence supports that finding. New evidence later introduced to the jury may also be grounds for a new trial. When the right to a phonographic report has not been waived and it is not possible to produce a record of the trial transcript due to the loss or destruction of the notes of the court reporter, the judge has the power to set aside and vacate the judgment and to order a new trial of the proceeding. Drawing from extensive experience, our talented California extradition attorneys will thoroughly review the facts and develop an effective defense strategy specifically tailored to your case. Our goal is to provide you with the best legal representation possible and help you win your case. 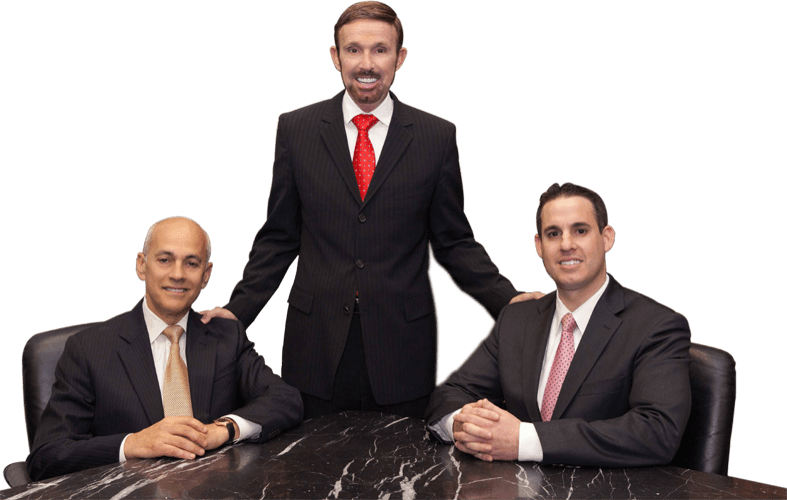 With offices in Orange County, Los Angeles, San Diego, Riverside, San Bernardino, Ventura, Victorville and West Covina, Wallin & Klarich has successfully represented clients facing criminal charges in California for over 30 years.